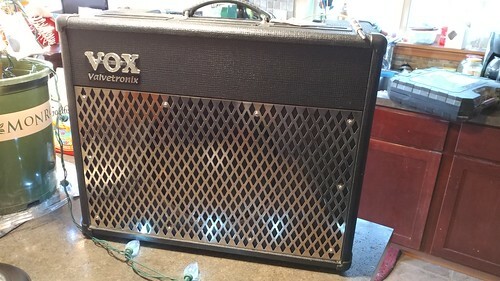 I wanted a bigger speaker for my Silvertone head, but I didn't want to use my single "15 or my 2x"12 cab with it. 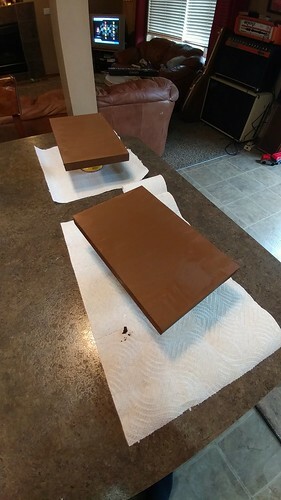 I thought it would be a good chance to do a "12 cabinet for it. 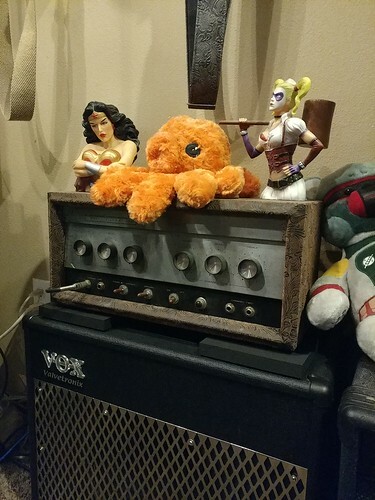 I didn't want one of the vintage Silvertone cabinets because they aren't often sold separate and the wood quality is garbage and super fragile. I looked at unfinished boxes and finished ones and they were more expensive than I wanted to spend. 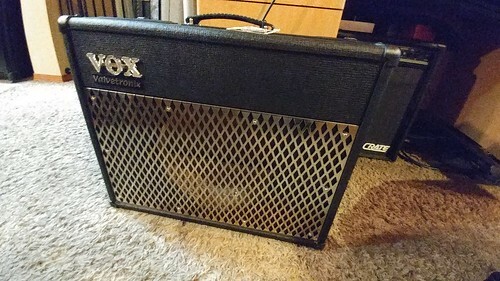 Then I noticed this for under $100. Just the box. 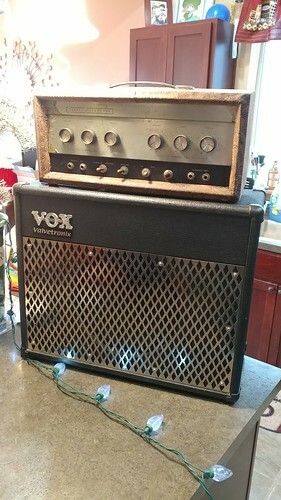 No amp or speaker, but in almost new condition. 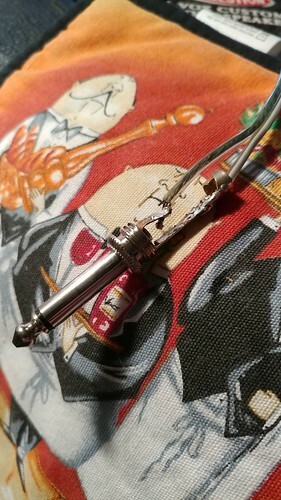 A lot of the old Silvertones seem to be open back so I thought this would work well. 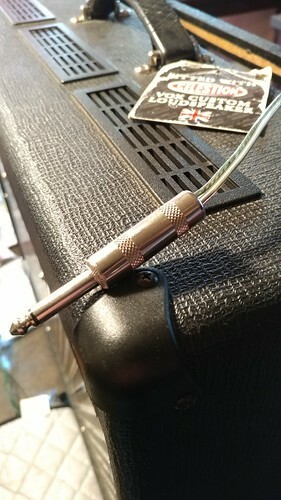 I wanted a speaker similar to the ones they would use. 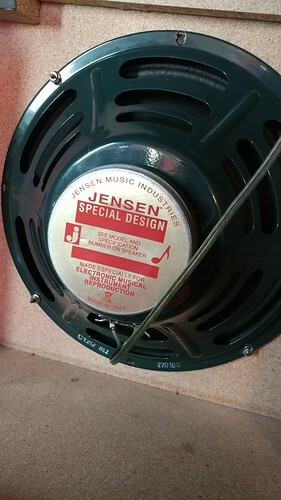 Seems they had Jensen ceramic "q" speakers, so I ordered a c12q speaker. 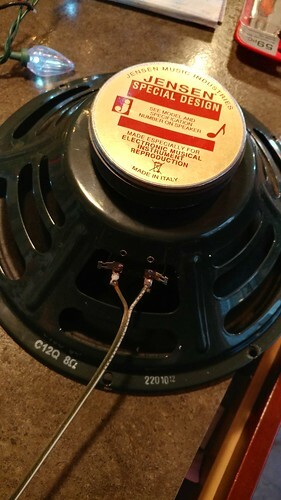 Once that comes, I will load it in to the box and wire speaker wire with a 1/4 male jack out to plug in to the head. 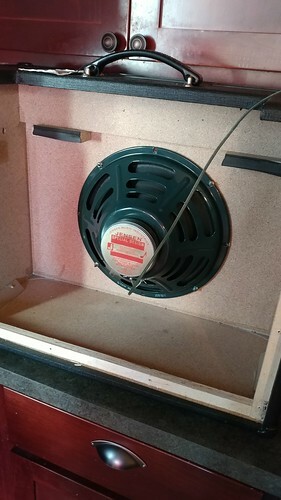 Got the speaker and wired it up. Very happy with it. 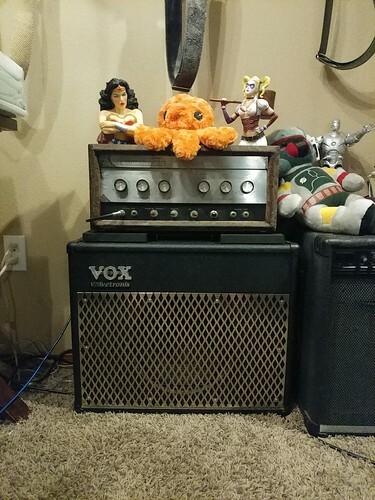 Since the Silvertone was intended for bass, the more trebly ceramic speaker works great. 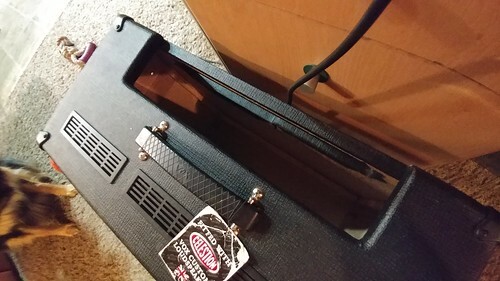 I still pretty much backed the bass all the way off. 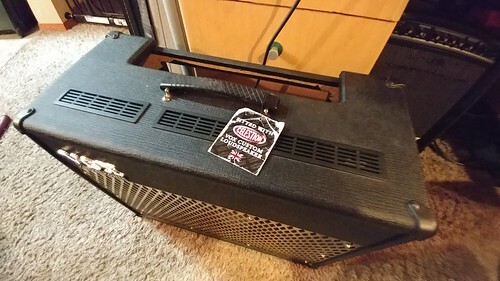 Only thing I need now is a couple boards to help lift the head up a bit because the handle on the cabinet sticks up too high for the amp to sit flat. 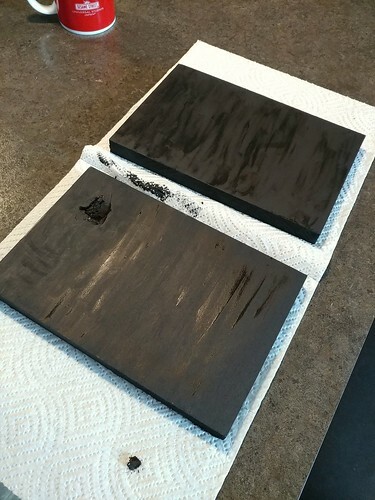 Wasn't feeling the poo colored boards so I painted them black.